Stroll back through history and enjoy world class theatre, fine dining, shopping, estate wineries, farm markets and historical sites. Niagara-on-the-Lake, often called the loveliest town in Ontario, has a long and distinguished history. Site of the old Neutral Indian village of Onghiara, it was settled at the close of the American Revolution by Loyalists coming to Upper Canada, many of whom had been members of the much feared Butler’s Rangers based during the American Revolution at Fort Niagara, then under British control. In 1781 the British Government purchased land from the Mississaugas, a strip of land 6 miles wide along the western bank of the Niagara River, for “300 suits of clothing”. By 1782, 16 families had become established and had cleared 236 acres. In 1791 part of the military reserve at the mouth of the river was chosen as the future townsite. In 1792, Newark – as it was named by Governor Simcoe, became the first capital of the newly-created colony of Upper Canada, and the legislature met here for five sessions, until Lieutenant-Governor John Graves Simcoe moved the capital to York (later Toronto). By 1796, 70 new homes were built, and the town continued to prosper as the economic, administrative and judicial centre for the Niagara Peninsula. The physical appearance of the town, with the exception of the powder magazine at Fort George was virtually erased by the burning of the town by the Americans during the war of 1812. World Discovery can tailor make arrangements in Niagara-on-the-Lake, just down the road from the spectacular Niagara Falls, on their Canada Holidays collection. Kashmir has had its recent troubles but this idyllic region of lakes and mountains in the Himalayan foothills is now open again for tourism. World Discovery’s Roy Davies has enjoyed several holidays in Kashmir over the years and comments “From April to September there are few places as beautiful as the Vale of Kashmir, regarded by the Mughal Emperors as a ‘Paradise on Earth’. 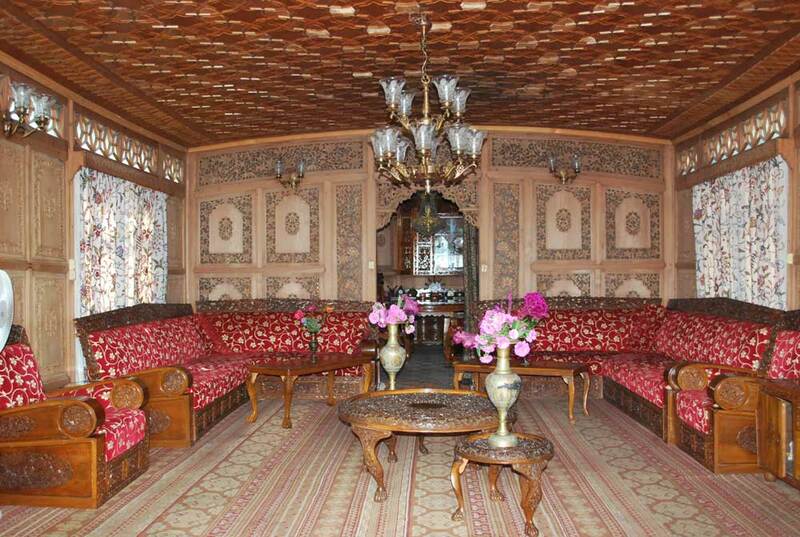 We have always stayed on one of the unique houseboats on the Dal Lake. Awake to the inspiring sound of a dawn chorus that is louder than anywhere else I’ve experienced, step on board a shikara, the traditional wooden rowing boat which, like the gondola in Venice, has become a cultural symbol of Kashmir, and relax as your boatman takes you across the waters of the lake to visit the floating vegetable gardens or the ramshackle wooden buildings of old Srinagar. Further afield are the wonderful formal gardens of the Mughals. My only worry is usually restricting the time my wife spends in the shops – with their gorgeous silk carpets, pashminas, colourful traditional papier-mâché boxes and ornate wooden lamp stands”. The houseboats – which were originally developed by the British as a way to avoid paying a high land tax on property – take you back to another era, with their intricate carved wooden designs and heavy Victorian furniture, but they offer a wonderful experience that you won’t find anywhere else. They’re not luxurious, however, so if you crave more modern comforts you can stay at the excellent 5 star Vivanta by Taj hotel overlooking the Dal Lake. 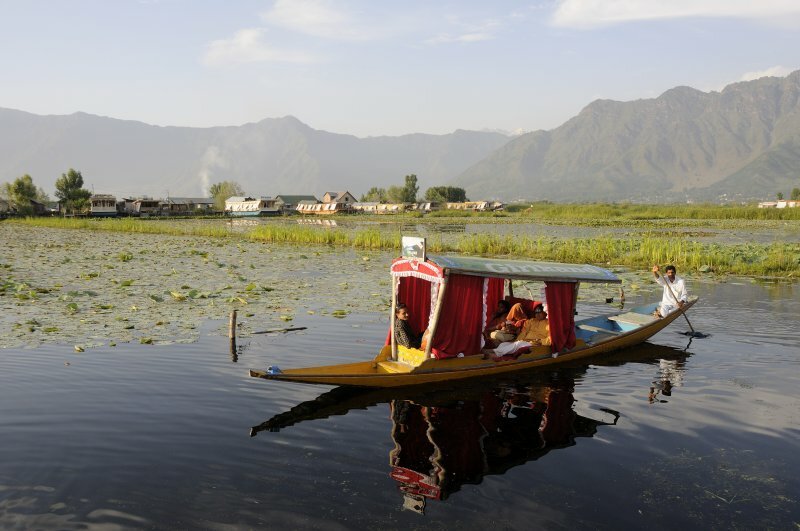 Another plus point is the price, especially on the houseboats – our 6 day Kashmir Holiday, including 5 nights full board, airport transfers, a half day tour of Srinagar and the lake by shikara and return flights from Delhi, costs from just £399 per person! Go this summer before things change! 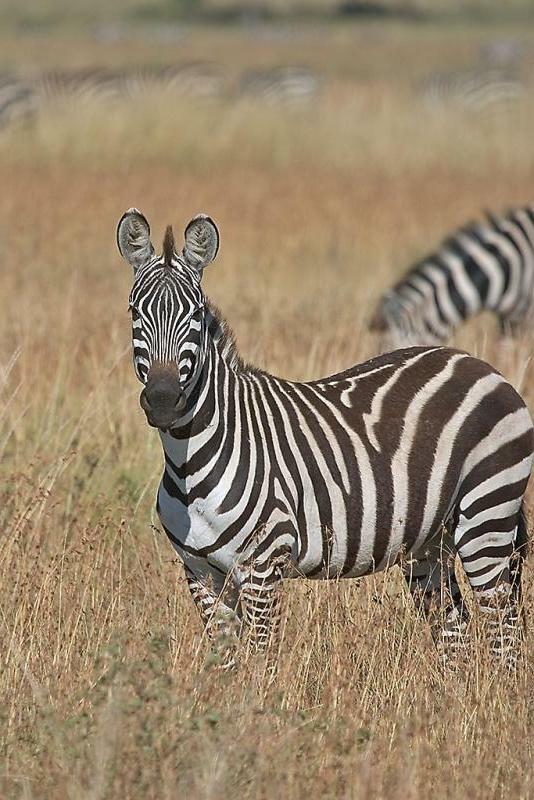 Masai Mara – it’s not only during the Migration! 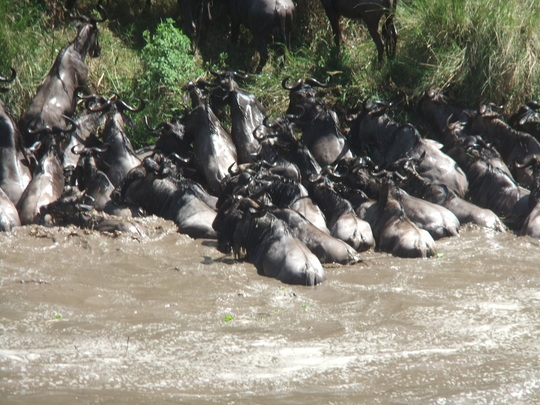 Guests at the Mara Ngenche Safari Camp were on Tuesday 7th April treated to the amazing and much sought after spectacle of a wildebeest crossing from the comfort of the camp! “Impossible in April!” you may say, and it’s true to say that everyone was pretty surprised. This stunning spectacle took place much earlier than scheduled as the migration proper is yet to reach the Mara, and is courtesy of a herd of resident wildebeest which would normally have returned to the Loita Plains at the end of the last migration. It was still in every way as spectacular as any of the crossings during the migration. The superb Mara Ngenche Safari Camp is featured on World Discovery’s Kenya Lion Safari itinerary – 7 days from £2595 per person. Recently voted as the ‘Best Restaurant in Asia 2015’, Gaggan is an Indian restaurant with a salivating twist on traditional cuisine. Located in Central Bangkok, the restaurant reinterprets the accepted with modernity and flair to bridge the gap between eastern and western cuisine. The menu is attractive and playful, with dishes such as Beauty and the Beast (young potatoes stuffed with sun-dried figs) and Green with Envy (green peppercorn chicken kebabs combined with coriander foam). Set in a charming whitewashed colonial-style wooden house, the design of the menu takes inspiration from the street food of India and its various regional cuisines. Chef Gaggan Anand has created a top dining destination that’s become a must-visit place while in the City of Angels. Experience this marvellous fine dining venue on a Thailand Holiday with World Discovery! Calling all adventure seekers! The unique Arctic Watch Wilderness Lodge is a wilderness basecamp for those looking for the extraordinary. Located on Somerset Island, Nunavut, this most northerly lodge in Canada is an all-encompassing arctic safari on the polar bear migration path. Arctic Watch offers rare wildlife views and dazzling arctic landscapes, daily activities, all-inclusive adventure options, and some of the best beluga whale-watching on the planet. You can book a week at Arctic Watch with World Discovery. 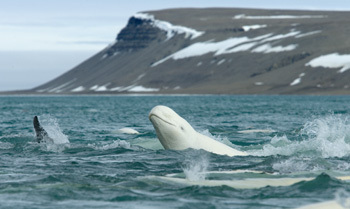 What’s more, if you make a booking at Arctic Watch by 30 April 2015 we’ll give you a special reduction of £300 per person!